Back in November of last year I introduced seven Canadian wearable tech companies working on technologies that were set to change how we live our everyday lives. From gesture control armbands to brain-sensing headbands, many of these companies now have wearables on the wrists and foreheads of users around the world. As we are nearing the end of 2014, I thought it was a good time to look back on what these wearable tech pioneers have been up to this year. 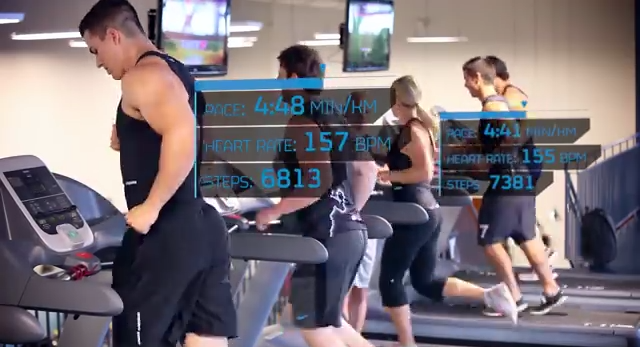 Thalmic Labs, the company behind the Myo, has quickly become a wearable tech darling. Thalmic Labs recently won the title of “Innovator of the Year” at PwC’s Vision to Reality awards after earning Techvibes’ 2013 “Startup of the Year” and receiving one of ten breakthrough awards from Popular Mechanics. Thalmic’s accolades are for good reason. Its gesture control armband has been demonstrated to drive robots and drones, let surgeons control information in real-time, and has been used by renowned DJ Armin Van Buuren to create a live music performance never before seen. The company has seen its fair share of delays in getting its product out to the market, however. The Myo’s rollout happened much slower than expected in order for Thalmic to gain valuable user feedback and refine the design and user experience before its final consumer release. Thalmic originally aimed to ship its first batch of Myos by the end of 2013 with the remaining pre-orders between February and mid-March of this year. Instead, it began by delivering a limited set of alpha devices to select developers in March of this year before shipping out 40,000 production units as developer kits this summer. Thalmic has completed shipping its developer kits and is now in the process of sending out its consumer Myos into the wild. Nymi, formally Bionym, is set to change the identity and authentication space with the release of the Nymi Band, which uses your unique heartbeat as a means of identification. The potential for Nymi is great as identity is at the core of personalization, passwords, payments and more, and investors realize this. Back in September, Nymi raised $14 million dollars in Series A funding from Ignition Partners, Relay Ventures, MasterCard, and Salesforce Ventures. This year, Nymi announced some exciting partnerships that illustrate how its technology can be used, including PasswordBox, Mastercard, and RBC. 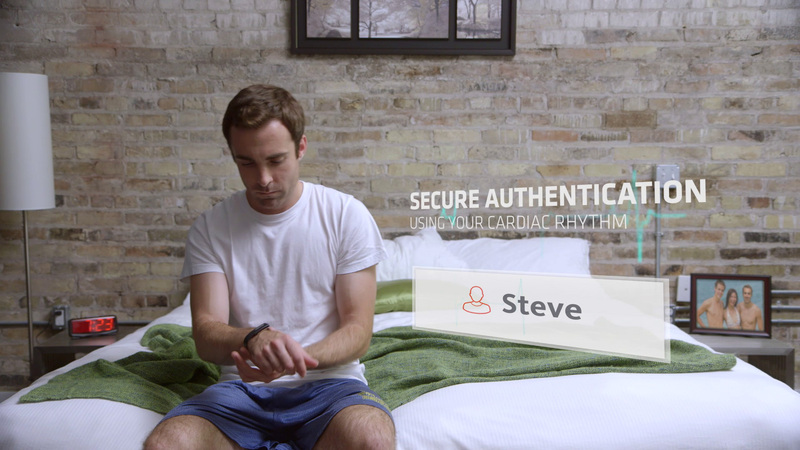 The latter will see the Nymi be used in the first biometrically authenticated wearable payment pilot in Canada, which will allow RBC customers to make payments with their heartbeat before the end of this year. Identity is at the core of personalization, passwords, payments and more, and investors realize this. 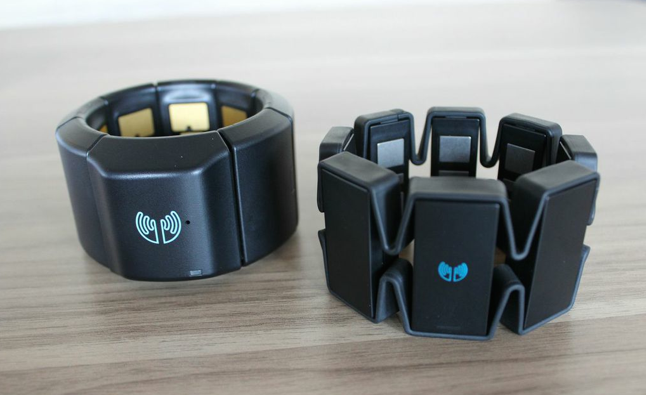 Like Thalmic Labs, Nymi has also seen some delays in getting on the wrists of its reported 10,000 pre-orders. We had originally expected Nymi units to be shipped out earlier this year. 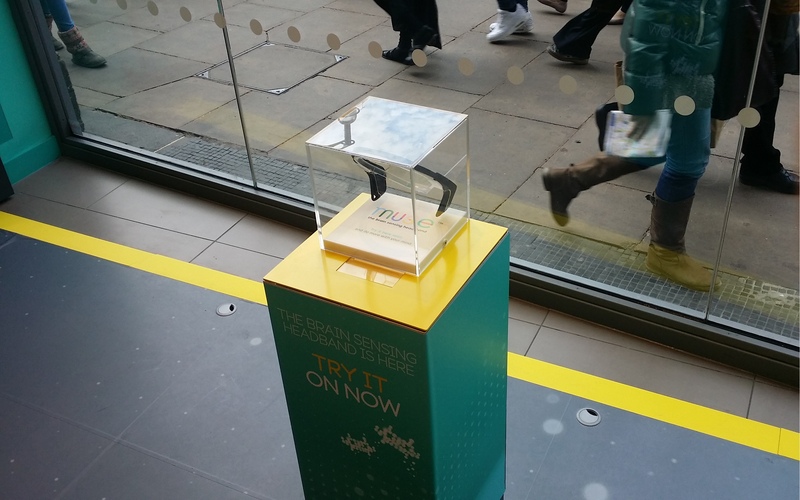 Instead, Nymi began shipping limited edition Nymi bands to select app developers back in October. This month, the company announced the release of a Discovery Kit that features Nymi Band final hardware along with apps for mobile and PC. Those that pre-ordered the Nymi Band who wish to hold off for the final public release will receive their Nymi when it ships in early 2015. Vancouver-based Recon Instruments has cornered the market on heads-up displays for the slopes with the launch of its smart ski goggles, Snow2. 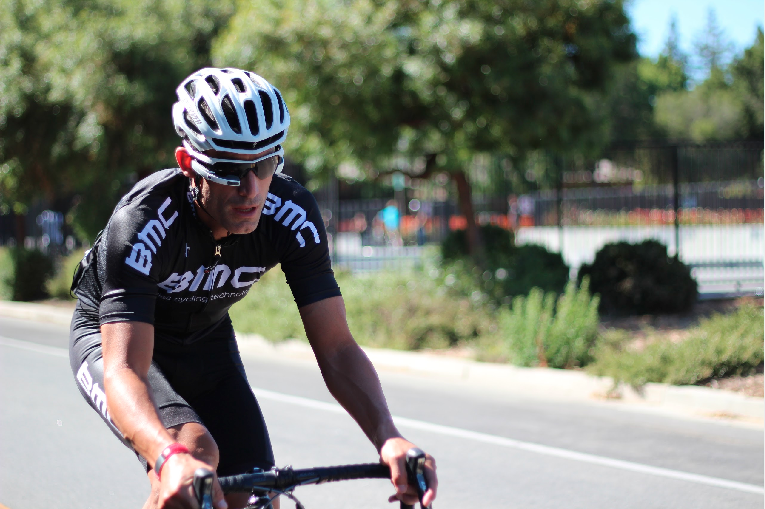 The company has also been gearing up for the launch of its much-anticipated smart glasses for cyclists and other land-based sports, the Recon Jet, for some time now. The Jet was originally expected to ship Jet at the end of 2013, but was pushed out to spring of this year because the team wanted to focus on the quality of the product for users. The spring date has come and gone and Recon has since communicated that the new milestone for shipping is late January to March of 2015, for which they are on track. I got a sneak peek of a prototype of Jet at CES last year which were pretty identical to the renderings shown on the Recon website. Since then Jets have been spotted in the wild at the APCO trade show in New Orleans, and most recently at a Jet Open House hosted by Recon in September. Recon has indicated that they have worked on some product advancements for the Jet, confirming improvements in camera images and ANT+ connectivity between Jet and 3rd party heart rate sensors. Recon’s recent update to its community showed pictures of product samples from its manufacturer, and stated that the company is on track to test and validate pre-production units leading up to its production roll-out. In this same communication, Recon announced that both the Jet and Snow2 are now integrated with the Garmin Virb action camera and that the Jet will transition from super early bird pricing ($599) to retail pricing ($699) on December 5. InteraXon, the company behind Muse, has seen quite the year. Its brain-sensing headband, deemed a Fitbit for your brain, is currently being featured in Best Buy Canada in a hilarious video by Canadian comedian Debra DiGiovanni. Best Buy is just one of many partnerships the company has formed this year to distribute its wearable, which first started shipping to its original Indiegogo backers in June. Muse can also be found on Amazon, Chapters and leading wellness brand site, Gaiam. Muse and I had an interesting summer after investor and celebrity, Ashton Kutcher, was caught photoshopping an image I took for my ten-day recount using the device and used it for his own. This wasn’t the first celebrity sighting with Muse; InteraXon recently posted an update on its blog of Muse being used by Canadian sport pistol Olympian and Pan Am Games medalist Avianna Chao to help her improve her focused attention. Montreal’s smart shirt company, Hexoskin, is no stranger to Olympic athletes. In October of this year, news broke of Sochi 2014 Olympic medalists the Dufour-Lapointe sisters having used the smart garment in their training for the Winter games. Around this time, Hexoskin opened up orders for its smart shirt after shipping to its Indiegogo backers on time in March. This summer, Hexoskin announced an update to its Android app, making it compatible with Android smartwatches, including the Neptune Pine and Omate Truesmart. This update allows Android smartwatch users to run the Hexoskin app on their watch like they would their phone to access GPS stats, and real-time connectivity to Hexoskin biometric stats. Last month, Hexoskin announced a new product for the cold winter, the Hexoskin Arctic, which is a warmer version of the original smart shirt featuring sleeves, a collar, and use of a new textile similar to Merino wool. Hexoskin will only be producing a few hundred pieces of this limited edition cold weather smart shirt, with orders expected to ship this month. 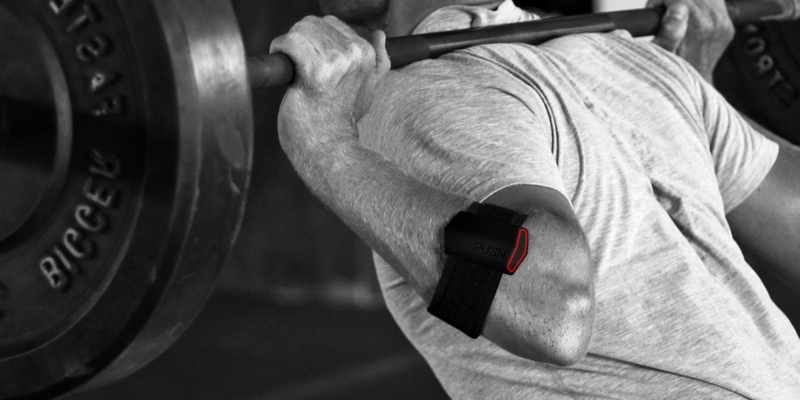 PUSH has made some significant headway in the strength training space this year, seeing its strength-measuring gym band used by professional and amateur athletes alike. Back in March, two hundred PUSH Bands were shipped out to select beta testers, including professional coaches and their athletes from major teams such as the Orlando Magic, Canadian National Women’s Basketball Team, the Philadelphia Flyers, and the Toronto Blue Jays. PUSH started to ship its production units to its Indiegogo backers at the end of July, a couple of months later than expected. The production units saw some significant design changes from the beta version including a sleeker profile, new logo and changes to the button, LED, and USB port. In November, the PUSH band entered general release as the company made the PUSH band and accessories available for purchase on its redesigned website. At this time, PUSH also made several updates to its companion app, including providing recommendations after each set to decrease, maintain or increase weight. When I wrote about Kiwi Wearables in November of last year, the company was focused on both hardware and software solutions in the wearable space. Kiwi’s Move was a sensor-based wearable that promised to provide an “If-Then-Than-That” like feature set, where specific gestures and movements would trigger actions in apps on its platform. At the time, Kiwi was working to get alpha units of the Move out to developers with the aim to have a consumer release of this product in 2014. Kiwi has remained consistent in its focus on becoming a platform for motion recognition. This year, Kiwi shifted its strategy with the Move, deciding to keep it strictly a developer device after realizing that the majority of pre-orders were coming from this demographic. The company did, however, introduce a brand new consumer-focused device, Glance, on Kickstarter in June. Glance promised to turn any dumb watch into a smart one, functioning as a smart accessory that fits under the band of existing watches to receive notifications, count steps, and other typical smartwatch features. Despite the campaign only raising $70,000 of its $150,000 goal, Kiwi confirmed they will continue to build and ship Glance for its backers. Despite some flux on the hardware side, Kiwi has remained consistent in its focus on becoming a platform for motion recognition, and has continued to build out tools to help developers incorporate motion into their own apps more easily. In June, Kiwi released its Motion Library for iOS and Android, and has released an Android Wear app in the Google Play store, which lets users control their phone by moving their hand. As Canada is an epicentre of wearable tech, the list of game-changing companies goes well beyond these seven companies. This year Montreal’s OMSignal made headlines when it partnered with Ralph Lauren to create connected shirts for the US Open. 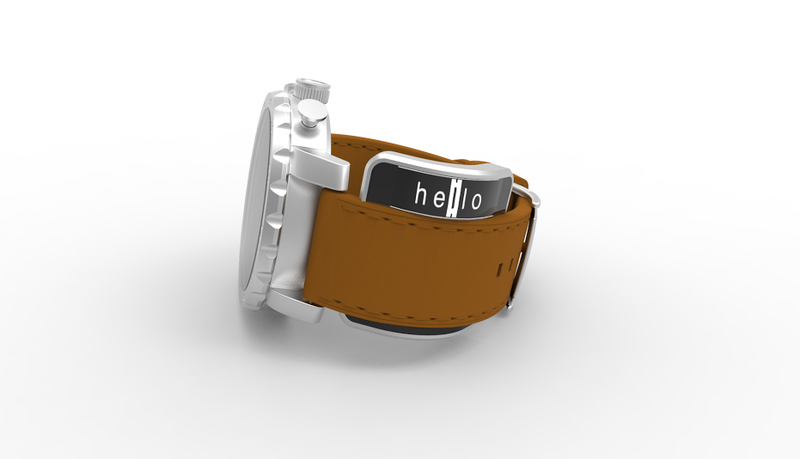 Montreal is also home to Mighty Cast, makers of the Nex Band, the world’s first modular smart band aimed at the younger generation, and Neptune Computers, which shipped its standalone smartwatch, the Pine, to its Kickstarter backers. This year we also saw wearable companies from Canada working in virtual reality (Sulon Technologies, PincVR), LED clothing (MeU, The Social Body Lab) and tactile audio displays (Subpac). With wearable tech still in its infancy, we are sure to expect new players enter the market next year as the space continues to heat up, as well as updates and possibly new products from those we are already familiar with. Great list. Pound for pound, I think Canada is in leading position or at least at par with the US in this category, which is refreshing. It would be interesting if you did another story about the “up and coming ones”. F|T: The FinTech Times – Can Open Banking create FinTrust?